This Christmas will be very strange and dangerous. A wave of robberies are frightening people. Even so, children don't going to allow anyone to take away their Christmas presents.They will use everything to protect each of their presents. Are you willing to defend your presents until the sun rises? This Christmas will be very strange and dangerous. A wave of robberies are frightening people. Even so, children don't going to allow anyone to take away their Christmas presents.They will use everything to protect each of their presents.Are you willing to defend your presents until the sun rises? 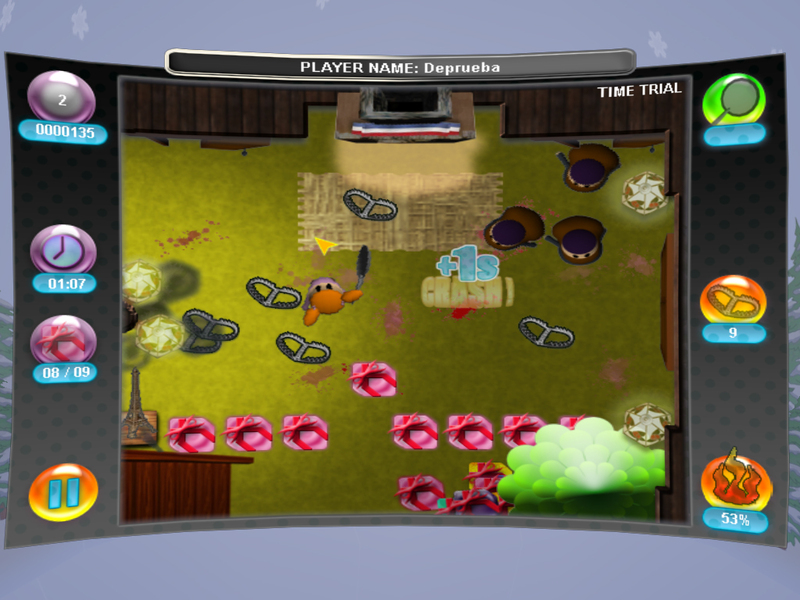 Strange and Dangerous Christmas Night is an arcade game with great humor, fun and a lot of hits. Helps the Scream Gang to protect their Christmas presents at their home. - 50 levels of frantic gameplay. - Additional game modes: Time Attack, Survival and Survival Infinite. - Best score Local and Online Ranking. - Share your records in your social networks using your NG-ID *. - Hours of fun with a lot of hits and laughter. Not apt for thieves who attempt to appropriate the children's gifts. *For get a NG-ID you must register in NURENDSOFT. ** To post in your social networks, you must link your social network account to your NURENDSOFT account.